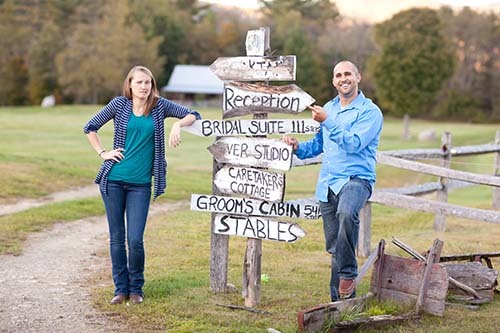 We have such a talented pool of wedding photographers, florists, stylists and caterers in Vermont. Today our occasional series of expert advice brings you “6 Reasons to Make Time for an Engagement for an Engagement Shoot” by photographer Garren Poirier. Now that you’re engaged you must be busy planning the details of your big day. With all that is going on it can be easy to overlook this unique stage of your lives. It’s a time filled with anticipation, joy and love; capturing this moment in your life can be just as exciting as your wedding day. Whether you are keen on having your photo taken or not, the benefits of taking part in an engagement shoot (popularly referred to as an e-shoot) may not be immediately apparent, so here are a few reasons you shouldn’t pass up the opportunity for your pre-wedding photo shoot! Sounds pretty obvious, right? As time inches closer to the big day you find yourself getting busier and busier. 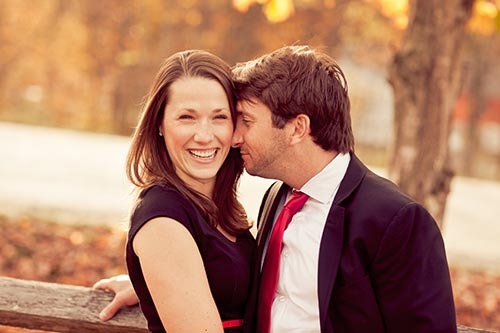 Early in the engagement is the perfect time for an e-shoot; while the excitement of the proposal and visions of the future are still fresh in your mind, that emotion will be clearly evident in your photos. Sure you’ll have photos on your wedding day, but this is different! Your wedding is the day planned for a party with your family and friends, but this shoot is all about YOU. While the wedding day will flash before your eyes, the e-shoot is slow paced and allows you to really soak in the time you have together. Grabbing those raw emotions just between the two of you is a rare opportunity and you’ll be glad to have this to look back on when you’re old and grey. Also, wouldn’t it be great to have some fab photos of you NOT in wedding threads? Wedding gowns and tuxedos aren’t exactly our everyday attire. You have an opportunity to take some truly unique photos, different from any you’ve had before, so make good use of it! Start with the location and pick a place that means something to both of you. It can be where you got engaged, a first date or just a very memorable date, where you met (maybe your high school/university). It can be any place that puts you at ease, something familiar that naturally makes you feel good, such as the zoo, a beach, or even your regular coffee shop. Where ever you decide, make it mean something to you. Don’t forget to get creative! You can create a theme (bake some cookies together) or bring props (maybe you are sports fanatics). Whatever it is, think colorful, let loose and tap into your imagination. 4. Practice for the big day. This is most important in my opinion!